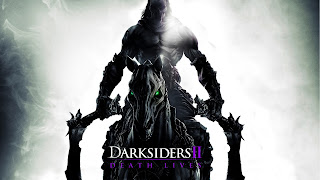 Dark siders is an adventurous action game developed by vigil games and published by THQ which is one of the famous publishers there earlier games like motogp ,WWE RAW , where very good. The game was released on August 2012.It was released almost on all well known platforms such as WII, PS3,Microsoft windows ,XBOX 360. Darksiders 2 merges action, exploration and adventure. The core gameplay is hack and slash adventure type game .The game includes vast maps and contains many over world regions. The game contains colorful actions and challenging levels.There are many highly exaggerated enemies and many bosses are unable to defeat for a normal gamer. The game is designed as such for pro gamers. When a player completes a level the gamer is awarded a skill point. The game requires high end pc with a good gpu other wise the gamer would suffer critical performance issuses like the game would lag like hell. The bosses are too difficult to deal with .